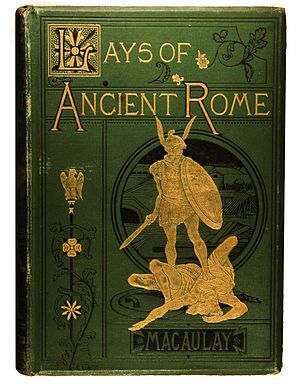 Lays of Ancient Rome is collection of ballads about heroic episodes in Roman history written by Thomas Babington Macaulay, becoming immensely popular in Victorian times, and were a popular subject for recitation, a common pastime of the era. It was set reading in British public schools for more than a hundred years. — Excerpted from Lays of Ancient Rome on Wikipedia, the free encyclopedia. This page was last edited on 17 January 2017, at 15:41.